How does bicycle advocacy confront issues of race, class, and gentrification? 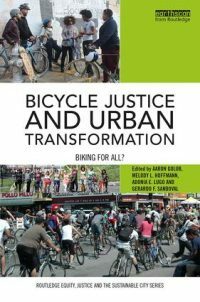 Bike Lanes are White Lanes: Bicycle Advocacy and Urban Planning examines the problems that can arise when communities focus on the white upwardly mobile bicyclist at the expense of the many working class and people of color on bikes. 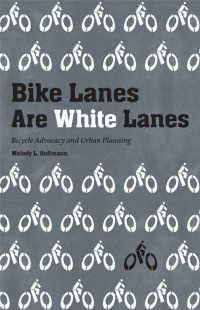 Author Melody Hoffman studies three U.S. cities–Milwaukee, Portland, and Minneapolis–to articulate how the bicycle acts as a “rolling signifier.” Her book can be purchased through University of Nebraska Press.